When Do I Need A Tooth Extraction? If you do not have enough space for all of your teeth to grow in comfortably, a simple extraction could be suggested. Your mouth could be crowded if they are too large, your baby teeth did come out soon enough, or if one or more teeth grow in incorrectly. Crowding can cause gum disease, tooth decay, pain, plus difficulty chewing or speaking. An extraction can make room for your remaining teeth, giving them a chance to grow properly. An injury to a tooth can be the result of sports, a car collision, or a simple everyday mishap. Although a dentist will try to repair the tooth with a crown, root canal, or another procedure, there are cases when the tooth will need to be pulled. If a permanent tooth is extracted after a trauma, you can restore your smile with a dental bridge or implanted crown. At DentalWorks - Easton, we use custom dental restorations that look and work like your other teeth. Untreated tooth decay is one of the most common reasons for a simple extraction. In the earliest stages, tooth decay causes a cavity, which can be corrected with a tooth-colored filling. If it's not treated, a cavity will spread to the inside of the tooth until it needs a root canal or an extraction to keep the infection from spreading to other teeth or your gums. Some patients don't get treatment for a cavity because of fears and anxieties. At DentalWorks - Easton, we use advanced procedures and modern equipment along with sedation to help our patients stay relaxed and comfortable during routine cleanings and when they need longer procedures, like extractions and fillings. Between the ages of 6 and 12 years old, baby teeth should fall out to make room for the adult teeth. In some children, these teeth may need a little help getting out of the way in time. 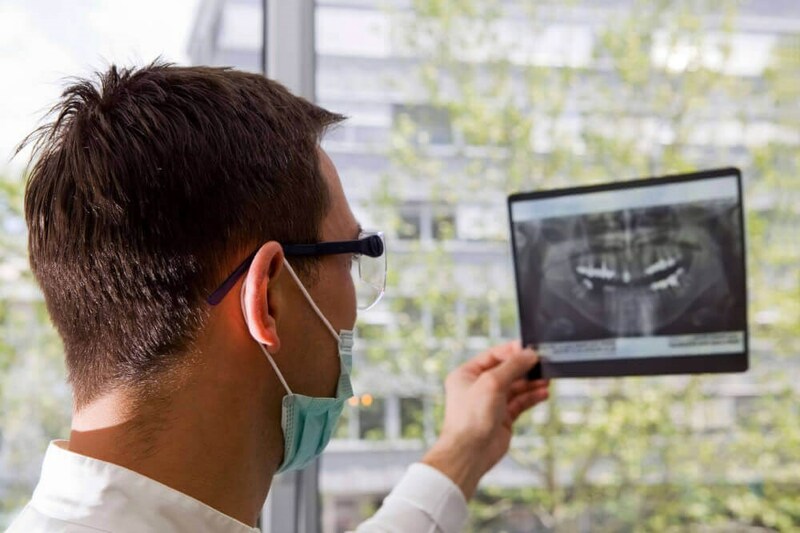 At your child's annual dental exam, your dentist will take a look at their digital x-rays and determine if a simple extraction is necessary to remove any teeth. If the baby teeth haven't fallen out by the time the permanent teeth are ready to erupt from the gumline, the teeth will grow in the wrong direction. A simple extraction can help your child avoid a lengthy orthodontic treatment when they are older. Surgical extractions are needed when a tooth that has not erupted from the gumline needs to be removed. After a sedation option is administered (in most cases, nitrous oxide gas along with oral-conscious sedation), your dentist will make an incision in your gums so they can reach and remove the tooth. This is most commonly performed to extract the wisdom teeth and teeth that have become impacted. More commonly known as the wisdom teeth, the third molars are the last of your permanent teeth to appear. Many people do not have room in their mouth for these molars, so they need to be extracted before they affect your other teeth. Typically, the surgical extraction of the wisdom teeth is performed when a person is in their late teens or early 20s once the teeth are fully formed. If you wait too long to have your wisdom teeth removed, you may develop other problems and have to undergo a more extensive procedure to have them removed. Sometimes a tooth will get stuck (impacted) and is unable to erupt. This is one reason why it's important to bring children to the dentist for annual dental exams. Your dentist can recognize impacted teeth on digital x-rays and schedule a surgical extraction to prevent pain or an infection. If you feel that you should get a tooth removed or if you would like your teeth checked, contact our office in Columbus, OH to set up a consultation. Our team of dental professionals at DentalWorks - Easton is equipped to perform both simple and surgical tooth extractions for patients of all ages. We offer different levels of sedation to help keep you or your child comfortable throughout the process. To replace a tooth after an extraction, we offer custom restorations, including dental bridges and implanted crowns. We use durable materials and shade the restoration to match your teeth so your smile stays stunning.